The Fed raised the target interest rate four times in 2018, and another one to two raises could happen this year. Rising interest rates often make the news. But are they a good or a bad thing? It depends on your perspective. When it comes to rising interest rates, savers reap some rewards. As interest rates go up, savers earn better returns on money held savings and money market accounts. Right now, many online banks are offering rates over 2% on their high-yield savings or money market products – a big improvement over the nothingburger rates that they’ve offered in the last 10 years. The good news is that if your savings account is already parked in one of these accounts, you don’t need to do anything to take advantage of the new rates – rates generally increase automatically. If you’re not getting a rate of over 2% on your savings, it’s a good time to review your options and switch to an account that will pay you! People who have new money to invest in Bonds and CDs (Certificates of Deposit) will also see the benefits of rising interest rates. Banks increase interest rates on CDs in order to compete with higher-yielding savings and money market accounts. CDs may penalize you for taking money out before the designated maturity date. In order to attract investors who are willing to commit their money, banks generally need to offer CD rates that are higher than that which a consumer could get in a savings or money market account. Likewise, bond issuers – banks, governments and corporations – increase their interest rates to compete with alternatives in the market like CDs, and savings accounts. If you’re putting new money into bonds right now, you’ll likely be offered higher rates than in the past 10 years. On the flip-side, if you already own a bond that you purchased in the last 10 years and you want to sell it, it generally won’t be as attractive to purchasers as it once was. Now that bonds are paying more interest, the demand for older bonds is decreased, lowering their value. So, although it will likely continue to pay the same dividends it has since you bought it, the value may fall on your statement. This is not a problem if you primarily bought it for the income, but something to be aware of. As with many things finance, there’s a bit of a gray area with rising interest rates. For the most part, this middle ground tends to be the stock market. Typically, big companies invest in big things (think: new technology, machinery for manufacturing, equipment, etc.) when interest rates are low. These investments drive long term growth, and companies may not want to make them if the cost of financing these projects is prohibitive. Growth could slow as a result. On the other hand, rising interest rates also cause rising prices – which likely include the stocks you currently own. So, the value of your stock may end up going up despite rising interest rates negatively impact other companies and industries. If you own your home, are planning to stay there for a long time, and locked in a low fixed mortgage rate in the last 10 years, you’re glad that you did. Low fixed interest rates mean lower monthly payments for borrowers and stability for your monthly housing cost. If you’re not already a home owner and you’re hoping to buy, you might find that with higher mortgage rates, you can’t afford as large of a mortgage as you once could. On the other hand, as other borrowers are in the same boat, home prices tend to stabilize and (possibly) decrease with rising rates. if you have a lot of cash on hand, it could be good time to jump into the real estate market, as sellers may be in a more negotiable mood. If you carry debt – typically credit cards – with a variable interest rate, rising interest rates will impact you negatively. This kind of debt is subject to rate increases – and you better believe that your rates will increase as interest rates continue to rise. For people with an adjustable rate mortgage (ARM), variable interest rate student loans, or variable interest rate credit card debt, higher interest rates will increase your monthly payment and the total amount of interest you pay over the life of the loan. 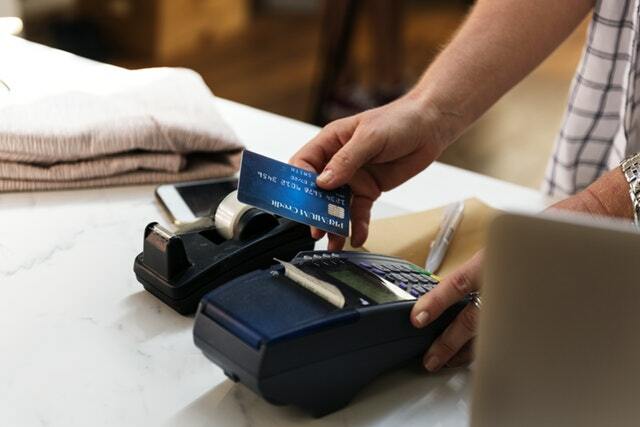 Additionally, if you were planning on doing one of those balance transfer deals, to a 0% credit card, you may notice that you don’t get those offers any more – they are becoming few and far between already. People often make the mistake of assuming that interest rates will impact every aspect of the financial industry, so things will balance out. For example, it seems logical to assume that if a variable interest rate on a student loan payment or mortgage is increasing, the interest rate in your savings account will increase at the same rate. This couldn’t be farther from the truth. Institutions will increase interest rates on credit cards and loans faster than they will on rates paid in the form on interest and savings. Isn’t that convenient? The truth is that federal interest rates start to climb when the economy is doing well. When things aren’t going well for people (and companies) financially, they’re less likely to borrow money, so the Federal Reserve may make borrowing cheaper to encourage economic expansion. As a result of the Financial Crisis and the Great Recession, interest rates were close to zero for a long time. At zero percent the Fed has fewer tools to stimulate the economy in the event of another recession. Now that the economy is stronger (based on indicators like unemployment and GDP growth), the Federal Reserve tends to raise rates, which makes borrowing more expensive. Have questions about what to do when your interest rates start to go up? Schedule a 15-minute conversation to talk it over. With a little bit of forward-thinking, you may be able to reprioritize your financial goals to plan ahead for the impact that interest rates may have on your wealth.